Cobb County Bankruptcy Attorney | The Purcell Law Firm, P.C. Not sure if bankruptcy is the right choice for you? Talk to us and learn about your options! 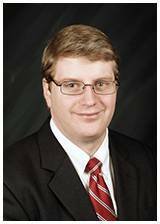 Meet Attorney Matthew E. Purcell, who is here to help you obtain your fresh financial start! By keeping our caseload small, our bankruptcy firm is able to devote more time to our clients. Read what else our former clients have to say about working with The Purcell Law Firm. Work directly with an attorney who is passionate about what they do. Read client reviews to learn about The Purcell Law Firm experience. Our founding attorney works hard to provide trustworthy legal counsel. Get started with your bankruptcy case by requesting a free evaluation. Tell us about your situation and let us help. The Purcell Law Firm, P.C. is dedicated to providing experienced legal representation and legal services to its clients. We listen to our clients with respect, offering straightforward legal advice and are devoted to helping people with overwhelming amounts of debt. At The Purcell Law Firm, P.C., we are committed to helping individuals and families find solutions to their financial difficulties. In today's economy, it is not uncommon for Americans to find themselves overwhelmed with debt. The truth is that debt is not a symptom of laziness or irresponsibility—just one bad break such as a job loss, a divorce, or a medical emergency, could result in serious financial woes. If this sounds like your situation, do not lose hope—take action by contacting our Cobb County bankruptcy lawyer! Are you ready to wipe your financial slate clean? Call The Purcell Law Firm, P.C. today to begin working towards debt relief! Managing your financial debt is a very serious and personal matter, which is why it is essential to ensure that you do not hire just any bankruptcy attorney. Rather, it is important to make sure the team you are working with is one you can trust to provide you with effective and efficient legal counsel to improve your financial situation. We limit the number of cases we take on, so that each and every client we work with is provided with the amount of personalized counsel and attention they deserve. Our clients are always our top priority, and we make sure they are treated as such. For numerous years, our goal has remained the same: to help our clients overcome their debt through the use of tailored solutions that will enable them to rebuild their financial stability and move forward. Learn the common mistakes that people make before filing bankruptcy. The United States Constitution protects your right to obtain debt relief through bankruptcy. Each year, more than one million Americans file for bankruptcy. Contrary to the negative way many people view bankruptcy, this option could actually serve as the second chance you need and a fresh opportunity to obtain a clean slate. Our team is here to guide you through the process and help you begin your journey toward renewed financial independence and stability. It is imperative you seek experienced legal counsel prior to filing for bankruptcy in order to ensure you pursue the course of action that is most suitable for your unique needs and goals. Our legal team will not only help you determine which type of bankruptcy you qualify for, we can also assist you with filing the paperwork and representing you in bankruptcy court, if necessary. We can also help you separate fact from fiction when it comes to your debt relief options. At The Purcell Law Firm, P.C. we are experienced, knowledgeable, and dedicated to the best interests of our clients. We do not just want to help you through the bankruptcy process—we also want to prepare you for life after bankruptcy. Get the fresh start you deserve! Not only is Attorney Purcell top-rated in his field, but is recommended by numerous clients who have reaped the financial benefits of working with The Purcell Law Firm, P.C. Call today to set up your free, confidential consultation. I highly recommend him. Mr. Purcell was extremely helpful and very professional. I highly recommend him. Should I Pay My Bills Before Filing for Chapter 7 Bankruptcy?